Inky Fairy Designs: The Greeting Farm JULY Farm Fresh Challenge: Shaker Cards! The Greeting Farm JULY Farm Fresh Challenge: Shaker Cards! Look, if I could put together this shaker card, there is no excuse for ANY one of you to join our challenge this month! 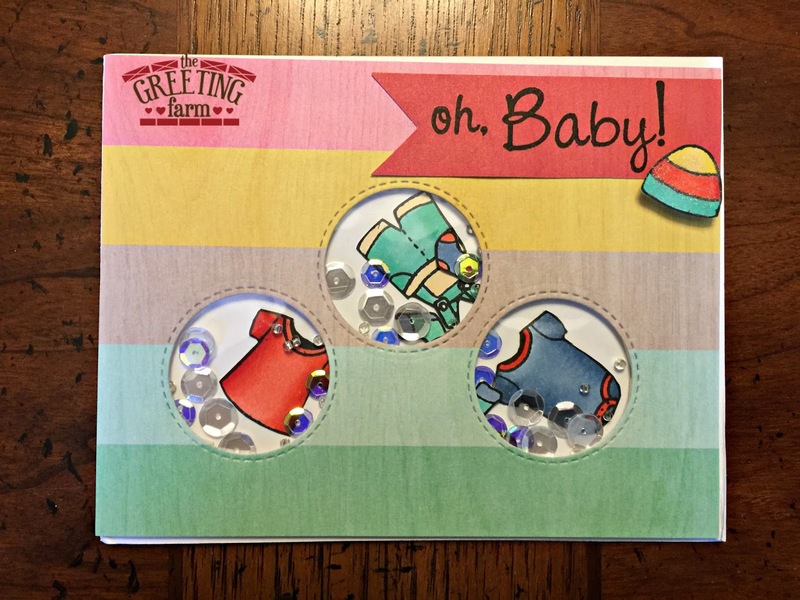 ;) I was inspired by front loading washers to create my shaker card using the Baby Laundry clear stamp set. I know the set comes with a clothes line but how cute are these little clothes tumbling around their little washers?! haha It was my daughter's idea to add the clear and blue sequins for bubbles. Love it!